What do Albert Einstein, Natalie Portman, Barbra Streisand, Sigmund Freud and Billy Crystal all have in common? 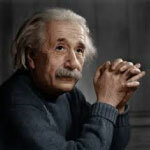 Professor Albert Einstein (1879 – 1955), was among the Founders of the Hebrew University of Jerusalem. He was active in both raising funds for the university’s establishment and in its academic aspects. He was a member of the Board of Governors, chairman of the Academic Committee and was highly involved in the University’s development and activities. 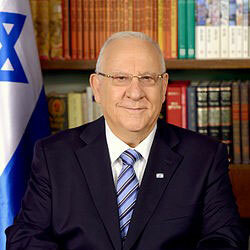 Reuven (Rubi) Rivlin (1939- ), the 10thPresident of the State of Israelwas born in Jerusalem during the British Mandate over Palestine. A lawyer by profession, he holds an LL.B. degree from the Hebrew University of Jerusalem. On May 29th2016 Reuven was awarded an Honorary Doctorate at the Hebrew University of Jerusalem’s annual Convocation. 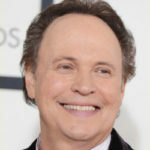 Billy Crystal (1948 – ), the award-winning Jewish- American actor, writer, comedian and film director, established ‘The Billy Crystal Program for Peace’ through the Performing Arts at the Hebrew University of Jerusalem. The program is dedicated to promoting a humanistic society based on dialogic relations and peaceful coexistence between Jews and Arabs in Israel. Natalie Portman (1981- ), Israeli-born actress won an Oscar for her performance in the film“ Black Swan” in 2011. She has directed and written one short film and a segment of the omnibus film “New York, I Love You”. She is fluent in Hebrew and has acted in an Israeli film, Amos Gitai’s“Free Zone” in 2005. 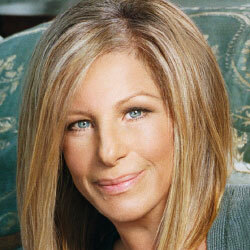 After she graduated from Harvard, she spent several months studying at the Hebrew University of Jerusalem. 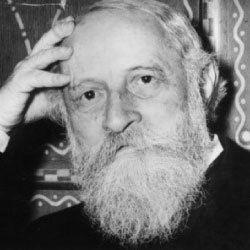 A Founder of the Hebrew University, Martin Buber (1878- 1965) was an Austrian-born Israeli Jewish philosopher best known for his philosophy of dialogue. In 1938, Buber left Germany and settled in Jerusalem, receiving a professorship at Hebrew University and lecturing in anthropology and introductory sociology. On February 2010 The Martin Buber Society of Fellows in the Humanities at the Hebrew University of Jerusalem was established by the Federal Ministry of Education and Research (BMBF) and financed by a German Foundation. Barbra Streisand (1942- ), is an American Jewish singer, songwriter, actress, and filmmaker.In 1984 Barbra donated the Emanuel Streisand Building for Jewish Studies to the campus in memory of her father, a Jewish educator and scholar who died when she was young and in 2013, in front of a packed auditorium at Hebrew University’s Mount Scopus campus, Barbra Streisand became Dr. Streisand, after the University’s Senate conferred upon her the degree of Doctor Philosophiae Honoris Causa. Marc Chagall (1887 – 1985) was an artist keenly aware of his own historicity. He was familiar with contemporary artistic philosophies and movements as well of those of the past. 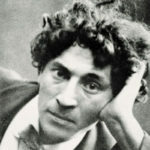 Raised as an Orthodox Jew, Chagall had a firm understanding and passion for the history of Judaism and was fully cognizant of the role that he as an influential Jewish artist played in the story of his people. With this understanding of history, Chagall, upon accepting the commission in 1959 to do a series of stained glass windows for the Hadassah Medical Centre in Jerusalem, conceptualized the work as a tribute to the past. A Founder of the University, Sigmund Freud (1856- 1939), was an Austrian neurologist and is known as the father of psychoanalysis, a clinical method for treating psychopathology through dialogue between a patient and a psychoanalyst. 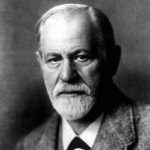 Freud was born to Galician Jewish parents in the Moravian town of Freiberg, in the Austro-Hungarian Empire. Freud was a member of the first Board of Governors of the Hebrew Universityand in 1979 the ‘Sigmund Freud Centre for Study and Research in Psychoanalysis’ was established at the university. Dr Chaim Weizmann (1874-1952) was a scientist, statesman and outstanding figure among the Zionist leaders who strove for the establishment of the Hebrew University. He was Chairman of the university’s board of governors until his election as the Israel’s first president and viewed establishing a scientific institution in Jerusalem as a central element in realising the intellectual Zionist dream in the spirit of AhadHa’am. Yonatan “Yoni” Netanyahu (1946 – 1976) was an Israel Defence Forces (IDF) officer who commanded the elite commando unit ‘SayeretMatkal’ (General Staff Reconnaissance Unit) during Operation Entebbe, an operation to rescue hostages held at Entebbe Airport in Uganda in 1976. 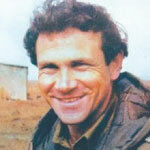 The mission was successful, with 102 of the 106 hostages rescued, but Netanyahu was killed in action—the only IDF fatality during the operation. In 1967 Yoni had enrolled at Harvard University, where excelled and was on the Dean’s List at the end of his first year. However, feeling restless from being away from Israel, Yoni transferred to Jerusalem’s Hebrew University in 1968. 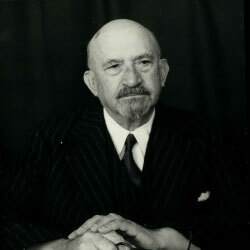 Yigael Yadin (1917 – 1984) was an Israeli archaeologist, politician, and the second Chief of Staff of the Israel Defence Forces. Yadin left the army in 1952 and, himself the son of archaeologist Eliezer Sukenik, studied archaeology at the Hebrew University of Jerusalem. 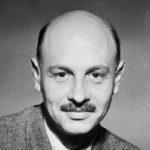 He earned his Ph.D. in 1955 on research into one of the Dead Sea Scrolls and for this he was awarded the Israel Prize in Jewish Studies in 1956. 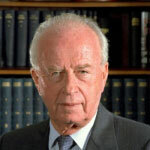 Yitzhak Rabin (1922- 1995) was an Israeli politician, statesman and general. He was the fifth Prime Minister of Israel, serving two terms in office, 1974–77 and 1992 until his assassination in 1995. In 1992, Rabin was re-elected as prime minister on a platform embracing the Israeli–Palestinian peace process. He signed several historic agreements with the Palestinian leadership as part of the Oslo Accords. In 1994, Rabin won the Nobel Peace Prize together with long-time political rival Shimon Peres and Palestinian leader Yasser Arafat. Rabin also signed a peace treaty with Jordan in 1994. In November 1995, he was assassinated by an Israeli extremist named Yigal Amir, who opposed the terms of the Oslo Accords. On June 1967, following the victory of the Six Day War, then IDF Chief of Staff, Yitzhak Rabin was awarded an honorary doctoral degree by the Hebrew University. 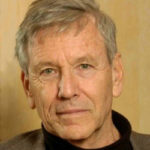 Amos Oz (1939- ) is an Israeli writer, professor of literature, novelist, journalist and intellectual. He is regarded as Israel’s most famous living author. Oz’s work has been published in 42 languages, including Arabic, in 43 countries. He has received many honours and awards, among them the Legion of Honour of France, the Goethe Prize, the Prince of Asturias Award in Literature, the Heinrich Heine Prize and the Israel Prize. In 2007, a selection from the Chinese translation of A Tale of Love and Darkness was the first work of Modern Hebrew literature to appear in an official Chinese textbook. In 2013 he was awarded the Newman Prize for Literature by The Hebrew University of Jerusalem in recognition of his continued literary work. 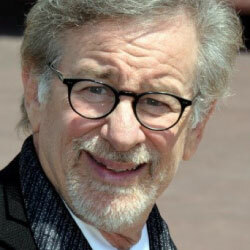 Steven Spielberg (1946- ) is an American director, producer, screenwriter and editor. He is considered one of the founding pioneers of the New Hollywood era, as well as being viewed as one of the most popular directors and producers in film history. He is also one of the co-founders of DreamWorks Studios. In 1987 a generous donation was received from Steven Spielberg to the Hebrew University and the ‘Jewish Film Archive’ was named in his honour in 1988. ‘The Stephen Spielberg Jewish Film Archive’ is the largest collection of Jewish documentary films in the world. The archive stores over 18,000 titles from different periods of history, from the time of the Ottoman Empire to this day. The archive contains titles in almost every visual format; this includes film, different types of video and digital files. Yuval Noah Harari (1976- ) is an Israeli historian and a tenured professor in the Department of History at the Hebrew University of Jerusalem. He is the author of the international bestsellers Sapiens: A Brief History of Humankind (2014) and Homo Deus: A Brief History of Tomorrow (2015). His writings are preoccupied with concepts of free will, consciousness and definitions of intelligence. 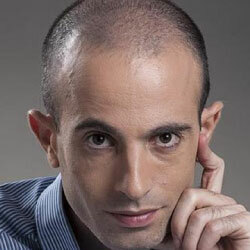 Harari’s early publications are concerned with what he describes as the “cognitive revolution” occurring roughly 50,000 years ago, when homo sapiens supplanted the rival Neanderthals, mastered cognitive linguistics, developed structured societies, and ascended as apex predators, aided by the agricultural revolution and more recently accelerated by scientific methodology and rational which have allowed humans to approach near mastery over their environment. His more recent books are more cautionary, and work through the consequences of a futuristic biotechnological world where sentient biological organisms are surpassed by their own creations; he has said “Homo sapiens as we know them will disappear in a century or so”.